Employee absence costs money and can severely affect the moral and productivity of your work force. During instances of employee absenteeism, employers either need to hire temporary staff to fill the gap or use the overtime premium to make up for the shortfall. Absenteeism reduces the productivity of your staff when non-absent team members cannot fulfil tasks or take longer to complete a task than they would normally with the help of their colleagues. 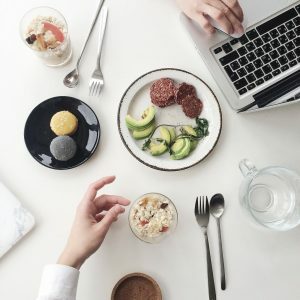 Absenteeism can also damage your brand and reputation, especially if you are running a service that depends on tight time management. · Identifying the underlying causes of absenteeism – working with employers and employees to quickly identify why staff members may be inclined to skip work or routinely call in sick. · Ensuring compliance with the Disability Discrimination Act – making sure instances of genuine absence through sickness or disability are dealt with and discussed using the correct protocol. · Identifying patterns and trends – developing methods to track instances of absenteeism across a business as a whole or on an individual basis. · Administrations and reporting – constructing methods and means to report back to members of management and absent staff members alike on instances of absenteeism. · Design of sick pay schemes and initiatives – Putting in place robust and initiatives to correctly handle prolonged absenteeism due to sickness and ill health. · Managing capability dismissals fairly and commercially – Ensuring that dismissals are co-ordinated in an appropriate fashion without incurring unnecessary expenditure. Simple HR are experts in reducing rates of absenteeism as well as cultivating and encouraging productivity amongst your work force. To discuss what Simple HR can do for your business, contact our HR team now.